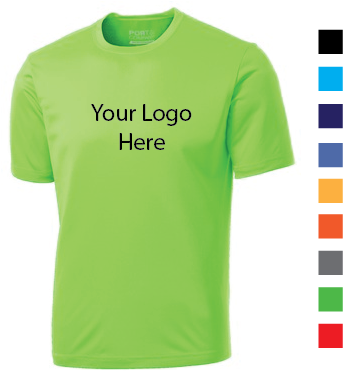 You are ordering a quantity of 8 performance fabric moisture wicking jerseys for your team at $10.00 per jersey with the Sports Emporium logo – custom logo’s would be an additional cost. These jerseys come in 9 different colors and they all have the Sports Emporium logo, or a custom logo screen printed on the front. You can add names and numbers to the back of the jerseys for an extra cost if you’d like. We will reach out via email to confirm sizes. Moisture-Wicking Performance Fabric Jerseys with the Sports Emporium logo, or a custom logo screen printed on the front.